Goa Chief Minister Manohar Parrikar lost the battle to pancreatic cancer on Sunday. Follow our live blog for all updates hereon. 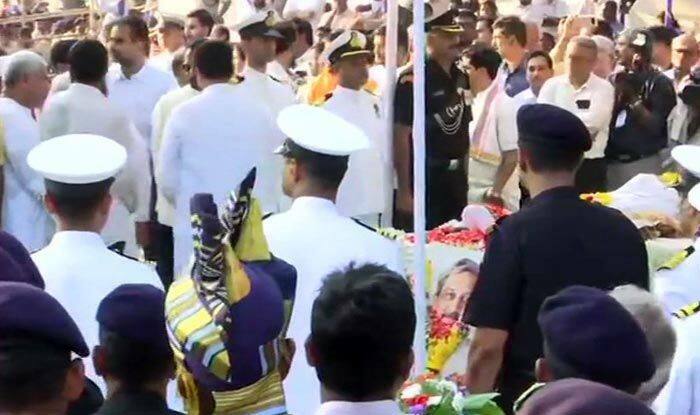 Manohar Parrikar Passes Away: Late Goa CM being accorded military state funeral with full military honours at Miramar Beach. 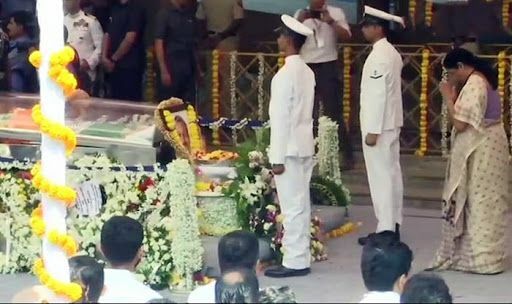 Manohar Parrikar Passes Away: Sea of supporters bid bye to Manohar Parrikar. Manohar Parrikar Passes Away: Last rites will begin shortly. 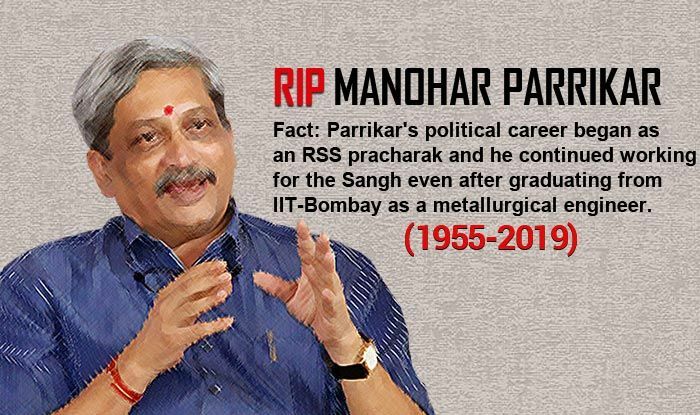 Manohar Parrikar Passes Away: Late Goa CM’s mortal remains have reached Miramar Beach. Parrikar will be cremated with full state funeral at 5 PM. Manohar Parrikar Passes Away: Defence Minister Nirmala Sitharaman pays her tributes. New Delhi: Goa Chief Minister Manohar Parrikar died at his private residence in Panaji on Sunday evening after a prolonged battle with pancreatic cancer. He was 63. The former defence minister’s health, which had been fluctuating for over a year, took a turn for the worse in the past two days. President Ram Nath Kovind was among the first to pay tributes, terming Parrikar an “epitome of integrity and dedication” and whose services to people of Goa and of India will not be forgotten. Prime Minister Narendra Modi remembered Parrikar, who was among the first BJP leaders to propose him for Prime Minister, as “builder of modern Goa” and that the county would be “eternally grateful” to him for his tenure as Defence Minister.